Jin H. Baek received his Bachelor of Arts degree in Political Science in 2007 from the University of California, Los Angeles. He earned his Juris Doctor from the University of Iowa College of Law in 2011. He was admitted to the State Bar of California in June 2012. Mr. Baek is a member of the State Bar of California and the Korean American Bar Association of Southern California. 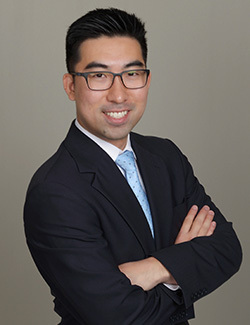 Mr. Baek joined the Ontario/Inland Empire office of Dietz, Gilmor & Chazen in 2016. Prior to joining DGC Attorneys, he practiced workers’ compensation as in-house counsel for a Fortune 500 insurance company in the Inland Empire. In his free time, Jin enjoys spending time with his family and cheering for his alma mater and hometown Denver Broncos.